For my 30th birthday I planned to complete thirty things to celebrate the big 3.0 in my own unique way. It has been three weeks since my 30th birthday and I have finally completed my list! This was my best birthday yet! This entry was posted in Bucket List, Canada, USA and tagged adventure, Airplane, Beach, bucketlist, Canada, experiences, ocean, skydiving, Travel, Try, Turquoise Compass, USA by Turquoise Compass. Bookmark the permalink. May each birthday be as awesome as this one was.. I bet that it will! especially considering I will have a year to experience the world before my 31st birthday! I have to start thinking about what I will do for my 40th. Wow, interesting list of your travel experience! like it. thanks for sharing…………. Thank you. 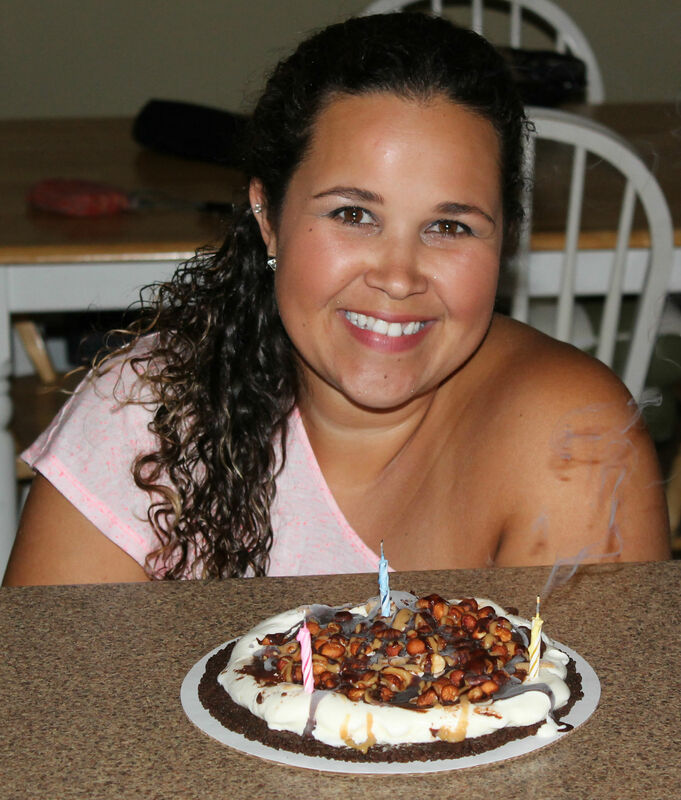 I definitely covered a variety of activities for my 30th birthday! 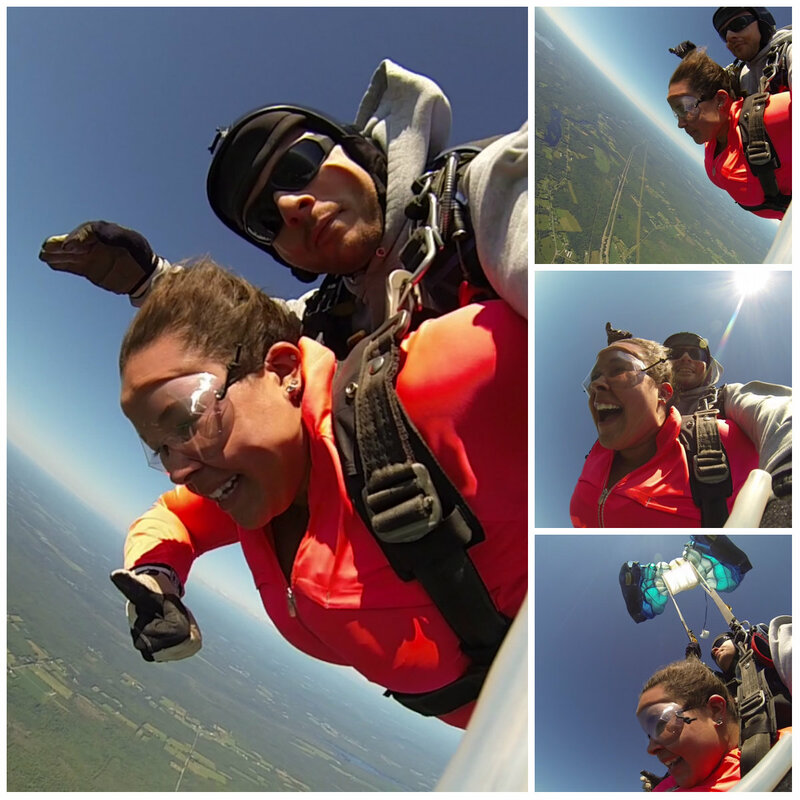 Skydiving was my favorite! Now this is how you celebrate turning 30! I think so! Did I miss anything? Exciting! I leave on Friday for my next journey too! Yay! Where are you off to this time? The more the merrier! Where are you off to on Saturday? Not sure where all I’m going yet, but I’ll be hanging out in Montana & Canada. The only place I know for sure I will be is Glacier Park. It is the most gorgeous place on the planet! Awesome! I’ve not been to Montana yet! What parts in Canada? Will you be heading to Atlantic Canada? I love Alberta! I’ve been all over! If you need any tips of places to visit be sure to ask! Atlantic Canada is my home! If ever you are coming this way let me know! That would be an awesome trip! I’d like to go on a road trip your way! Haha maybe we could coordinate and meet in the middle. I’ve been to 28 states so far and a lot of the ones I’m missing are on the east coast so that is part of my motivation. That’s awesome! I’ve been to about 10 states I would say…I have more to see! That would be a dream come true! I am only missing 5 provinces which I would like to get to soon as well. Obviously like you, as many new counties/destinations as possible! Congratulations once more! It was a nice way to celebrate! Thank you! I think so too! I can’t wait to see your list for your next birthday! What is the number one thing you want to do? Awesome! I can’t wait to see the list! Were you inspired by any of the things I did? I was a licensed parachuter, you will love skydiving. Are you going to post pictures of your birthday outfit for example? What would you like to shop in Maine? I love that you have little snack treats for yourself! I did LOVE skydiving! Do you still skydive? I never thought of posting a picture of my birthday outfit! What a great idea! I was shopping mostly for travel accessories and clothes in Maine. Enjoy following my blog, I am glad you are enjoying the posts. Thanks for the support! Love that you’ll be celebrating your birthday with experiences! My 3-0 is next year and I still haven’t figured out how I want to celebrate. It’s a bit up in the air as to where exactly we will be (still in Korea or onto our next project… wherever that will be!). I figured I needed to do something for the big 3.0. I bet whatever you decide will be great! What would be your dream for your 30th birthday celebration? That’s just it. I can’t decide. I thought about renting a beach house somewhere (maybe Florida?) would be fun. And all of my friends could come hang out. But it’s hard to plan anything when we don’t know where we will be. I’m sure we will still do something fun! It is fun to include friends! That’s why I picked skydiving with my best friend! I like your Florida idea. Miami would be amazing! I would come, haha!